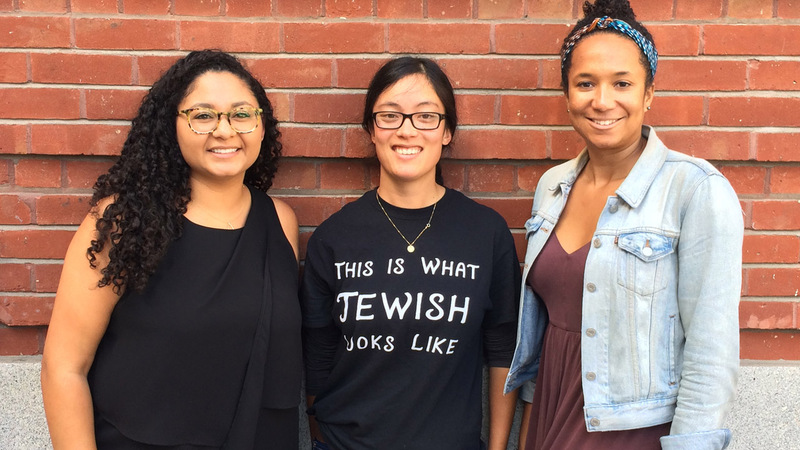 Jewish organizations playing catch-up to racially diverse community – J. TAKING A CLOSER LOOK: Part three in a series exploring key results of the 2018 Portrait of Bay Area Jewish Life. Sahru Keiser liked the look of the synagogue around the corner from her new apartment in San Francisco’s Richmond District. But she didn’t go in. Even though she’s Jewish, it felt awkward. “I felt ‘other,’ and I felt like people would be, like, what are you doing here?” said Keiser, who is Jewish and black. Lia Barrow of Oakland knows what that’s like. She is also black, and in the process of converting. Though she has raised her two sons as Jews, she is hyperaware of needing to prove the family’s Jewishness when they go to synagogues where they aren’t known. “I make sure my boys have their kippahs on and they dress well and follow along in the service,” she said. Feeling like an outsider is common among Jews of color. And yet that will have to change if institutions and schools want to stay connected to a new generation of Jewish children who are being raised in multiracial households, say local leaders, responding to a recent study of Bay Area Jewish life. “This is a train that’s left the station,” said Diane Tobin, executive director of Be’chol Lashon, a Bay Area organization that promotes ethnic, racial and cultural inclusivity in the Jewish community. The 2018 “Portrait of Bay Area Jewish Life and Communities” commissioned by the S.F.-based Jewish Community Federation found that nearly 25 percent of local Jewish households include one non-white adult (Jewish or not) — Hispanic, Asian American, black, or of a mixed or ethnic or racial background. That means Jewish programming, whether it’s Tot Shabbat, b’nai mitzvah education or simple outreach, must respond to families beyond white Jews. According to the study, released in February, 350,000 Jews and 123,000 non-Jews live in 148,000 Jewish households in the Bay Area. For purposes of the study, a Jewish household was defined as having at least one Jewish adult, and “Jewish” as a person who identifies as Jewish or partially Jewish and/or says his or her faith is Jewish. 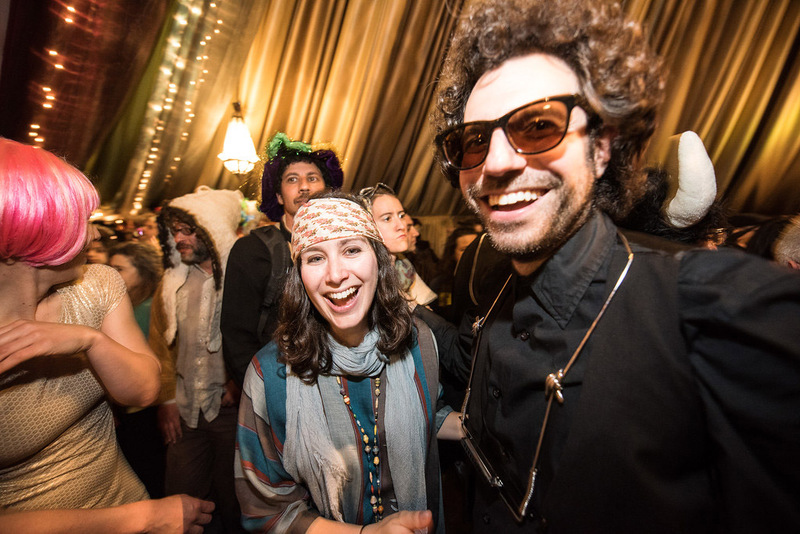 “There are sharp increases in the racial complexity of Bay Area Jewry as you go from old to young,” said principal investigator Steven M. Cohen, a research professor of Jewish social policy at Hebrew Union College–Jewish Institute of Religion in New York. Among respondents over 65, only 9 percent of Jewish households include a non-white adult. For those 50-64, the number is 17 percent. In the 35-to-49 age group, the figure goes up to 27 percent, and for respondents 18-34, it’s 38 percent. “There’s a real jump in non-whites, especially in the youngest age group,” Cohen said. Cohen said the numbers can be explained in large part by interfaith marriage, which has been rising for many years. A 2013 Pew Research Center study found that of U.S. Jews who had married since 2000, nearly 60 percent had a non-Jewish spouse, compared with 40 percent who had married someone of a different faith two decades earlier. The recent Bay Area study found that 31 percent of Jewish adults are married or partnered with other Jews and nearly 35 percent with non-Jews (about 35 percent are single). Interracial marriages also are rising. But Rabbi Samantha Kahn of InterfaithFamily Bay Area said it’s important that synagogues avoid jumping to conclusions about an interfaith, multiracial family by presuming the white person is Jewish. “That’s a problem, for a congregation to assume they know who the Jewish partner is,” Kahn said. Sometimes, as with Keiser and Barrow, it is the household’s non-white resident who is Jewish. The numbers vary by age: While the Federation study shows that 96 percent of Jewish adults over 65 are white, on the other side of the scale — the 18-34 bracket — it is about 75 percent. Almost 10 percent of Jewish respondents describe themselves as mixed. Black, Hispanic, Asian American and Native American categories each were between 2 and 4 percent. The 2.2 percent who describe themselves as Middle Eastern may or may not include Mizrachi Jews (with origins in Arab countries), because the question did not specify heritage. Barbara Gereboff, the head of Ronald C. Wornick Jewish Day School in Foster City, has been in Jewish education for a long time and sees the changes happening in front of her eyes. With a growing number of families raising children of color in Jewish environments, “schools look very different today from what they looked like 20 years ago,” she said. For those in the business of boosting participation in Jewish life, adapting to the changing landscape comes with its own set of challenges. 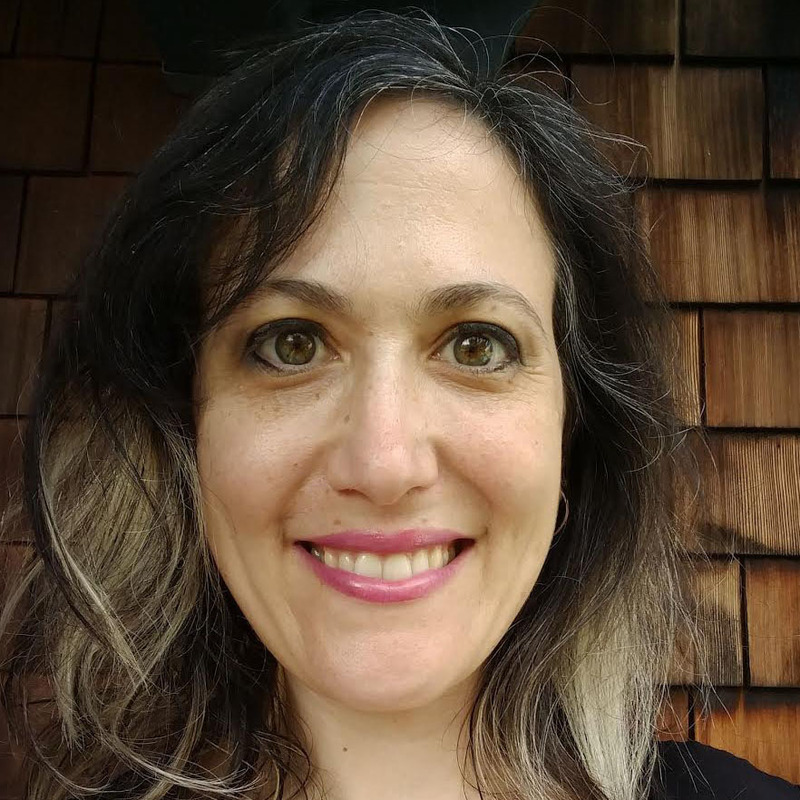 Liora Brosbe, family engagement officer at the Jewish Federation of the East Bay, said her work with young families supports the finding that 25 percent of Jewish households are racially or ethnically mixed. “I’m not surprised at all by that number,” she said. One of her challenges is visual representation of Jewish diversity. 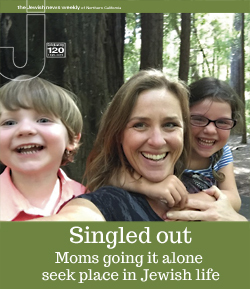 The Federation’s Sprout program regularly sends online newsletters to 3,500 people with information on early childhood programs, summer camps and ways to connect with other East Bay Jewish families. The email features a “family of the month,” and Brosbe and the Federation strive to make sure that non-white families are represented. “I don’t think it’s hyperbole to say that we talk about this constantly,” she said. Brosbe said when she searches for stock images to illustrate the newsletter, it is fairly easy to find family photos that include multiracial groupings, but that’s not so when it comes to Jewish families, which are depicted almost exclusively as white. To get around the problem, the Federation arranged its own photo shoot showing multiracial families with kids doing standard Jewish stuff like “holding a PJ Library book, eating matzah, giggling with a kippah on,” Brosbe said. To her, it’s a sign that people haven’t really caught on to what Jewish families look like today. Rabbi Jacqueline Mates-Muchin of Oakland’s Temple Sinai takes it a step further, suggesting that the Jewish community itself is behind the curve in awareness. “You have to recognize, this is who we already are,” she said. Mates-Muchin is tuned in to the importance of representation. As a Chinese-American Jew, she’s keenly aware of what her position means when she stands on the pulpit. “The more people in leadership who show the diversity of experience in the Jewish community, that helps,” she said. Like Tobin, Mates-Muchin thinks the Jewish community is playing catch-up to the reality of a more diverse America. Noting that Sinai has held several panel discussions about how it feels to be a racial minority in the Jewish community, she says it’s crucial for organizations to make sure they are paying attention to the study numbers and to adjust accordingly. “Otherwise people get chased off and don’t feel like it’s home,” she said. And that message needs to be focused, she counsels. Recently she co-organized a traveling photo exhibit called “This Is Bay Area Jewry,” featuring images of diverse Jewish families. It was preceded by a yearlong program called “What Color Are Jews,” which taught Kepler a lesson in outreach. None of this is news to Tobin, who founded Be’chol Lashon in 2000 after adopting a black son (Tobin is white). The organization does research and trainings across the country. Tobin believes it’s vital for synagogues, schools and Federations to understand how Jews of color feel if they want them to stay connected. “You can say you’re welcoming, but, you know, we’re voting with our feet,” she said. Combating a feeling of exclusion is partly why Be’chol Lashon set up a summer camp nine years ago where young Jewish kids of color could find peers and feel less like outsiders. “They see other Jews like themselves, and have role models,” Tobin said. Her position was created three years ago to formalize the work she’d already been doing, including teaching students how injustice gets built into society. The school recently was awarded a grant from the Walter & Elise Haas Fund to pilot a Jewish Teens of Color Leadership Summit. Ben-David thinks such efforts are essential, especially for teenagers, who are questioning their identity and need to be seen and recognized. 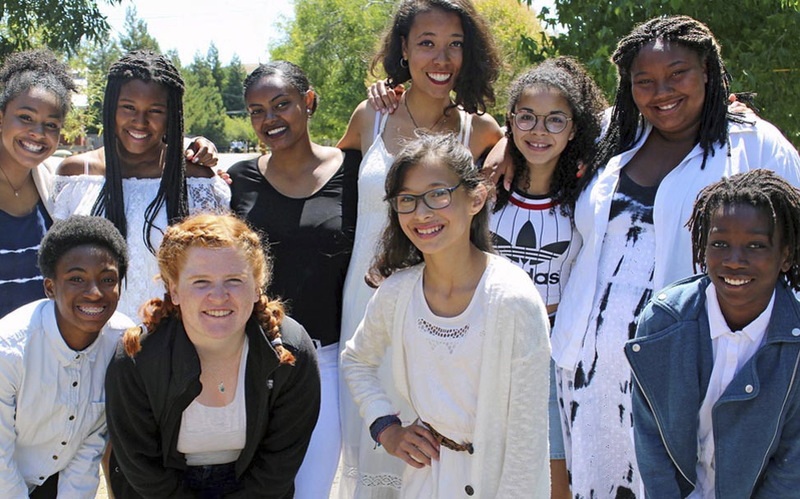 Kehilla Community Synagogue in Piedmont is tackling the issue head on, actively seeking not only to make sure that Jews of color feel at home in the space, but that it is shaped by their experiences, said Rabbi Gray Myrseth, Kehilla’s education director. That means not striving to be “colorblind,” but rather explicitly bringing race, culture and ethnicity into education in a thoughtful way. For example, instead of standard learning about Judaism with a segment on “other traditions,” Kehilla teaches sixth-graders that there are many types of Judaism, all of them normal. The goal is to make sure a diverse Jewish family will not attract attention or be looked at as outsiders. “Jews of color are often [mistakenly] ‘welcomed’ to their own synagogues,” Myrseth noted. That happened one time to Avi Brooks — and it wasn’t a great moment. But Brooks sees it as an aberration and says he and his family, who are all of color, love Kehilla and feel “totally at home” there. A professor at Cal State East Bay, Brooks grew up Jewish in Los Angeles and has a look that people find hard to peg. Though being Jewish was always a part of his identity, he wasn’t a synagogue member. But after his daughter Amieh was born, he came down with a case of “pediatric Judaism” strong enough that he’s now studying at Jewish Gateways for his own bar mitzvah. “I felt that I was the last link,” said Brooks, whose wife is not Jewish. He says he appreciates the Kehilla community’s acceptance of differences and desire to create an inclusive space. That’s especially important because his daughter, now in sixth grade, is studying for her bat mitzvah. Melanie Abrams and her writer husband, Vikram Chandra, are happy to be raising Darshana (left) and Leela in the Bay Area, where there are many families just like theirs. That kind of inclusion is one reason Melanie Abrams of Oakland is glad to be raising her family in the Bay Area. The Jewish mother of two says she knows plenty of other families with the same makeup as hers — one parent white and Jewish, the other Indian and not Jewish. After growing up in a mostly white neighborhood in Southern California, she appreciates that her kids know so many other racially mixed Jewish (and not Jewish) children that it’s completely normal to them. She says she has never felt uncomfortable taking her children to Jewish places and attributes that to the area’s diversity and embrace of differences. “Here I don’t feel self-conscious at all,” she said. And what about Sahru Keiser, who recounted being new to San Francisco? Once she had children, she did step through the door of that local synagogue near her new home, which is how she found her community at Congregation Beth Sholom. Even though she usually found herself to be the only Jewish person of color in the room, she also felt welcomed. As an adult, she says, she has grown accustomed to the experience of being an “only.” But when she was growing up, she believes it would have made a difference if she’d been exposed to the kind of community-building happening in many Bay Area organizations today. “I think I might have had a stronger connection to being Jewish,” she says.